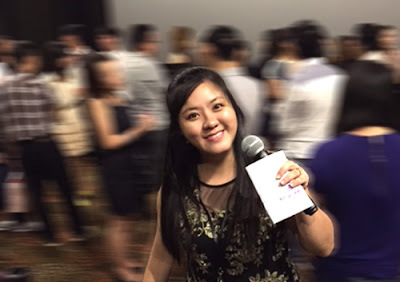 I had the honour to plan and host an movie event for the singles at the new GV Suntec theatres in Singapore. More than 100 singles signed up for this event. We facilitated the mingling session with ice-breakers. The participants get to watch a hilarious movie with powerful cast like Melissa McCarthy, Jason Statham, Jude Law, Rose Byrn and 50 Cent. They laughed as they witness how Susan Cooper (Melissa McCarthy) transformed from deskbound drudge to deadly heroine. This is an excellent movie to laugh the stress away on a weekday evening!